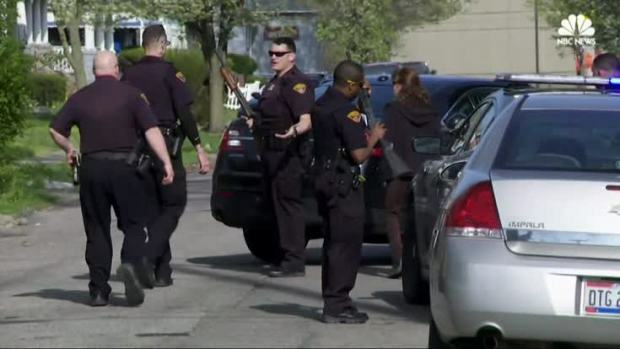 Facebook Killing Suspect Found, Kills Himself After Police Pursuit in Pa.
A manhunt that lasted more than two days ended Tuesday afternoon in Erie, Pennsylvania when Facebook murder suspect Steve Stephens killed himself after a brief chase. Jim Rosenfield has the details on how the chase came to an end. The man who randomly gunned down a Cleveland retiree and posted video of the crime on Facebook killed himself Tuesday during a police chase in Pennsylvania that began when a McDonald's drive-thru attendant recognized him. Acting on a tip from the McDonald's, Pennsylvania state troopers spotted Stephens leaving the restaurant in Erie and went after him, bumping his car to try to get it to stop, authorities said. He shot himself in the head after the car spun out of control and came to a stop, police said. "This started with one tragedy and ended with another person taking their own life," said Cleveland Police Chief Calvin Williams. "We would have liked to have brought Steve in peacefully and really talked to him about why this happened." At a Silicon Valley conference Tuesday, Facebook CEO Mark Zuckerberg briefly addressed the Cleveland case, saying Facebook has "a lot of work to do" and "we will keep doing all we can to prevent tragedies like this." Police would not speculate on what was behind the killing, but in the video and other footage he posted, Stephens talked about losing everything he had to gambling and having trouble with his girlfriend. He said he "just snapped." One of Godwin's daughters, Debbie Godwin, said she wished Stephens had been captured. 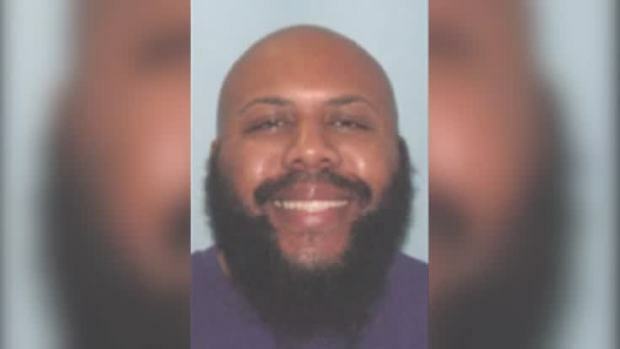 The manhunt for accused Cleveland Facebook shooter Steve Stephens ended after he fatally shot himself at the parking lot of an Erie County McDonalds in Pennsylvania Tuesday morning. He was wanted for the alleged murder of Robert Goodwin Sr., and posting the video to Facebook. The break in the case came when police received a tip that Stephens was at the McDonald's in Erie, in the northwestern corner of the state, about 100 miles east of Cleveland. He ordered a 20-piece Chicken McNuggets and french fries, according to the manager. Restaurant owner Thomas DuCharme Jr. told the Erie Times-News that the drive-thru attendant thought she recognized Stephens and called state police. State Police Maj. William Teper Jr. would say only that the tip came from a "concerned citizen." The McDonald's employees tried to "buy some time for the cops" by telling Stephens his order of fries was delayed, but Stephens said he had no time to wait and drove off, according to DuCharme. The police chief said that it wasn't clear whether Stephens had any help while he was on the run or where he had been and that investigators will try to retrace his steps. Stephens' cellphone had been tracked Sunday afternoon near Erie, officials said on Monday. A nationwide manhunt is underway for a gunman suspected of executing an elderly Cleveland man on Easter Day and uploading video of the crime to Facebook. "This is something that should not have been shared around the world. Period," Cleveland's police chief said. In the video, Stephens told Godwin the name of his girlfriend and said, "She's the reason that this is about to happen to you." Godwin did not seem to recognize the name.